This tuna and chickpea patties recipe is egg-free and contains no potatoes as fillers. Instead, fiber-rich pureed chickpeas are added to the mix. 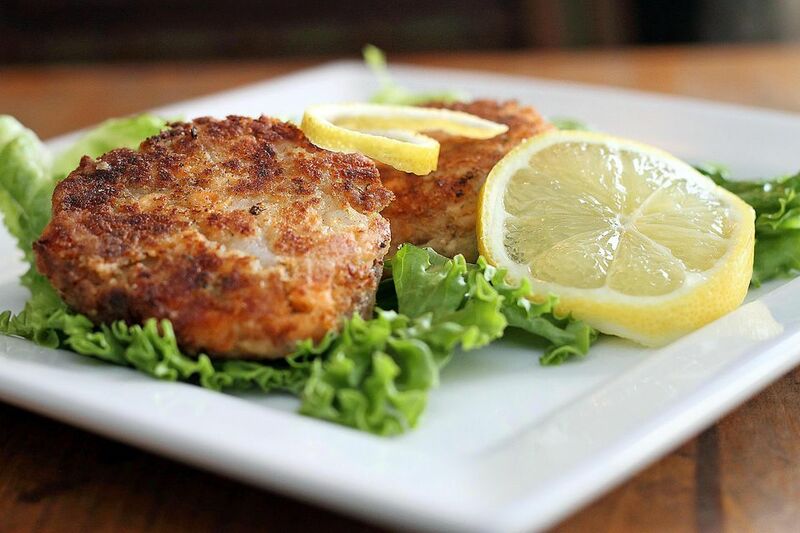 They’re a delicious alternative to salmon patties. The chickpeas add a nutty dimension to these patties that are infused with fresh cilantro and parsley and a hint of cumin seeds. Serve them with a side of cucumber and minted yogurt for dipping. Place chickpeas in a blender or food processor along with 1/8 cup of olive oil. Blend to roughly puree the chickpeas. Transfer to a mixing bowl. Add tuna, grated carrots, onion, garlic, cilantro, parsley, sea salt, and chile flakes. Stir well to combine. Shape mixture into small patties and then cover and refrigerate for 30 minutes. Remove patties from ​the fridge and then dredge in a little flour, followed by the breadcrumbs. Heat about 1 tablespoon of vegetable oil in a nonstick skillet and fry patties until golden brown on each side. Place patties on a paper towel to drain. If they seem a little moist, then fry them for a second time and then drain. This helps the patties keep their shape. To make the dipping sauce, combine yogurt, cucumber, mint and grated garlic in a small bowl. Stir well and then serve with the tuna chickpea patties along with some lemon wedges for squeezing.